We are the largest back office solutions provider in Canada and the US dedicated to the staffing industry. Employment agencies and independent recruiters are experts at placing the right people in the right positions. But administrative tasks such as payroll, financing and government compliance can slow down a small business or recruiter and keep them from focusing on what they do best. Having been on the other side of the business for many years and knowing the challenges of multitasking administrative areas with core responsibilities, Duggan launched the company to provide independent staffing agency entrepreneurs with a suite of services that provide the tools for success in the industry. 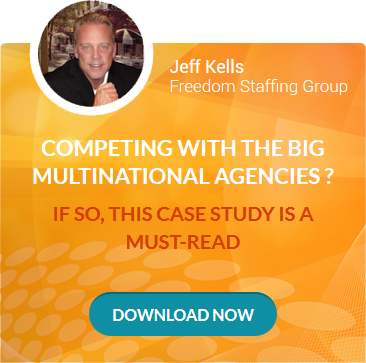 Since then, The Staffing Edge has grown to be the largest back office supplier to the temporary, contract, and recruitment staffing market in Canada and the US. Servicing more than 150 staffing firms across Canada and the United States, The Staffing Edge currently pays thousands of temporary workers and independent contractors per week. The Staffing Edge’s services are bolstered by the strength of its staff. The company hires employees with prior experience in the staffing industry to better address the needs of its clients. The Staffing Edge has been a proud supporter of independent staffing entrepreneurs for the last 22 years in the Canadian market. To facilitate continued market growth and expand our service offerings, The Staffing Edge has merged with People 2.0, an industry-leading back office solutions provider to independent staffing companies and recruiters located in the United States yet servicing customers on a global basis. Founded in 2001, People 2.0 is a gold standard, industry-leading back office solutions provider offering a full range of outsourced services exclusively for leading staffing and recruiting companies in the US and around the world. People 2.0 provides their staffing clients a complete end-to-end solution, virtually eliminating all non-revenue producing activities, enabling scalable growth and profitability. Today People 2.0 is the premier global workforce deployment platform as well as the trusted advisor and subject matter expert to their global network of clients who they support from their headquarters in suburban Philadelphia, Pennsylvania and an office in Houston, Texas.